ISBN 825800064. 8.5x11 inches. Transcribed by Johann Nepomuk Hummel; Jules De Sivrai. A timeless classic in the Carl Fischer Piano Catalog, Masterpieces of Piano Music is one of the largest and most comprehensive collections of standard piano compositions ever published. 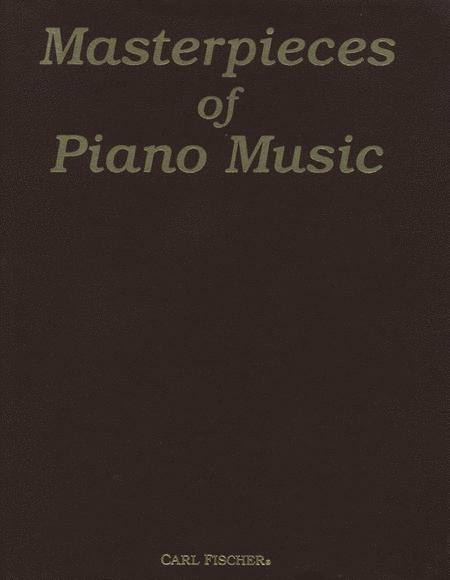 This handsome volume covers all fields of classic, modern, light and operatic piano music. All pieces are edited and selected in this collection by Albert E Wier and features works by noted composers including Beethoven (Moonlight Sonata), Grieg (Erotik), Strauss (Traumerie Op.9, No. 4), Chopin (Nocturne Op.9, No.2) and many others. 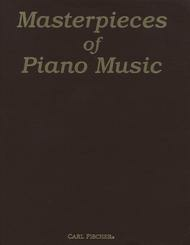 A must for every serious piano student. trouble.Has every piece you ever played and a lifetime of untried new treasures. No watered down arrangements. Glasses required. 51 of 101 people found this review helpful. music too. They love the books. I am very happy to see it still being published. 55 of 102 people found this review helpful.